Recently I was looking through my photos and decided to assemble a collection of the best ones and put it to Flickr. The photos date back to 2003, when I got my first digital camera (Nikon Coolpix 2000). In the morning I said goodbye to the friends from EILC course and left Roskilde. 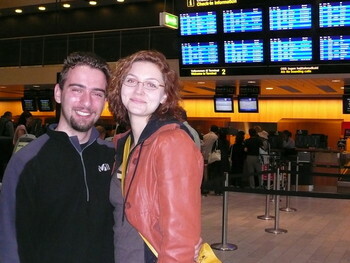 Thanks to my friend Aga I had a ride to the airport, so I didn't have to take a train. I'm very grateful to her. The flight from Copenhagen to Vienna was without any problems. Since it was raining heavily in Copenhagen (unexpected surprise ), I couldn't see much from the plane's window, just clouds. Now I have a spare time, because I'm waiting at the Vienna International Airport for the Student Agency bus to Brno. After that my parents will pick me up, because there is not train heading to Ostrava at that time. Hopefully, I'll be at home before midnight. Today is the last day of the intensive language course. In the morning we all sat down in the class, got some coffee and sandwiches and obtained our certificates. For the three weeks of „hard work“ we got 6 ECTS credits. I'm staying in campus until tomorrow, then i'm going to Copenhagen to catch my flight to Vienna. 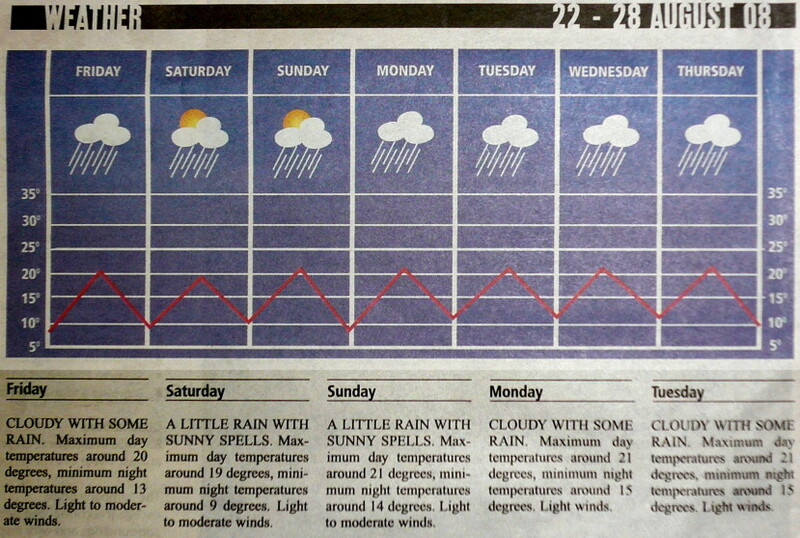 So I have one more day to enjoy the delightful Danish weather. I’ve passed a Danish exam! Short presentation about the project, in my case about the Danish food. Dialogue with a fellow-student (actually series of questions and answers) about a random picture. Tomorrow we will receive certificate of completion, evaluate the course. It will be the official ending of the course. 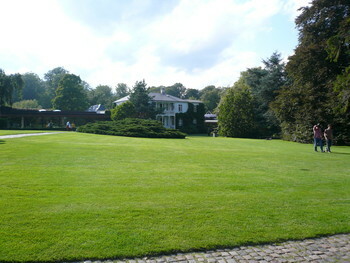 On Tuesday we visited Lousiana Museum of Modern Art situated near the town of Humlebæk. After a hour and half long journey by train we finally arrived there. It was a nice place with many artworks and site-specific works, mostly statues. We took a guided tour through the most parts of the museum (inside and outside) and then we sat for a cup of coffee in the café and enjoyed a view at the sea and the Swedish coastline. 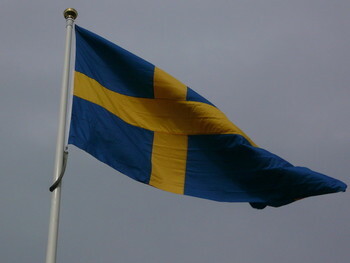 Yesterday we took a journey to Sweden. It was very spontaneous, we decided to do so during the breakfast. So after we finished eating, we packed our things and headed towards Malmö (by two cars, ten people). Oresund bridge was really spectacular! It definitely is a masterpiece among the bridge constructions. Its only drawback is the price for passage, cost for one car is 260 kr. (one-way). Our first stop was Malmö. We just walked throughout the city streets and looked at the stuff served at stands there. Since we had not any Swedish money, we just looked and smelled all the delicious things. After we were tired of walking, we sat down into Burger King and had very healthy lunch. After the lunch we drove do Trelleborg. We just stopped there to see the beach and then continued along the coast to Ystad. Ystad is a small, but quite beautiful town. We enjoyed our stroll there and bought some food in local „Jednota“ (coop) store. I was very suprised when I found out that they sold Staropramen (as a Czech premium beer), but for 12,50 kr. per 0,33 liter bottle. In the evening we stopped at some beach for a while and then headed back home. It was a very nice day. Yesterday, after our delicious typical Danish lunch, we traveled to Klampenborg to see the premiere of Sommerballet in Bellevue Teartet. 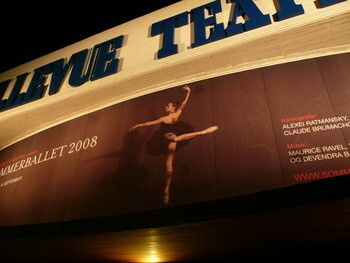 It was a modern ballet and also a first ballet I have ever seen. I really liked the performance. Link to the official site and GALLERY. 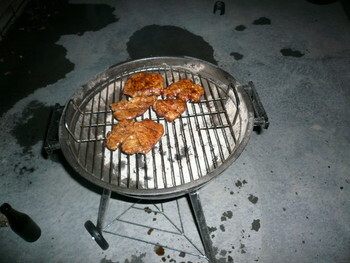 On Thursday evening we arranged a barbecue. Everybordy brought some meat, beer, wine etc. and we really had a great time. During the whole week we worked on a project – prepare a traditional Danish lunch. At first, we had to find out, what it even is, what and when should we serve etc. Food group – That was the group I belonged to. We were supposed to interview (or interrogate) people in the city about typical food served for the traditional lunch. 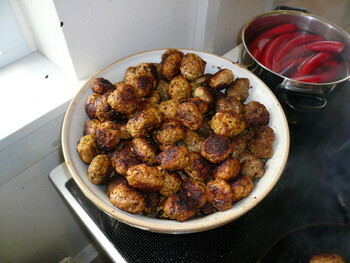 Another task was to find all recipes on the internet (Danish) and translate them to English. Music group – They had to find out what kind of music Danes listen to, prepare a hit list a play some samples of Danish music during the lunch. On Friday it was quite a job to prepare everything for approximately 55 people, but we managed to do it. In the end we all had a very delicious lunch. In this week we saw Danish series The Kingdom (Riget) from a famous director Lars von Trier. Main storyline is about the Kingdom – most technologically advanced hospital in Denmark. After some mysterious events, such as ghost ambulance arriving to hospital every night or strange voices in elevator shaft, the medical personnel begins to realize that not everything can be comprehended purely by science. We only saw first two episodes (out of eight), but it was enough for me to know that it is one of the best series I have ever seen.